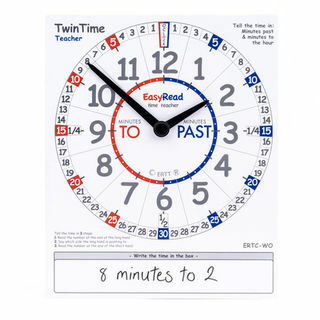 The analogue clocks all feature PAST and TO, numerals sequenced as past and to and the hands penetrate into the boxes, indicating which numbers to read. The digital clocks all feature the minute numbers -59. each number is contained in its own box. The hands penetrate into the boxes, indicating which numbers to read. 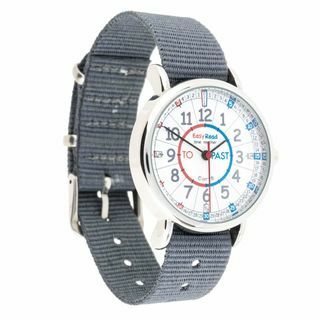 EasyRead Time Teacher Childrens World Time Wrist Watch, 33 mm diameter, with grey nylon strap. 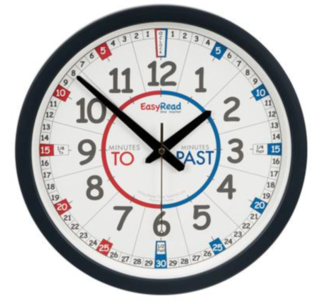 Simple 2-step teaching system to learn to tell the time in 12 and 24 hour format. 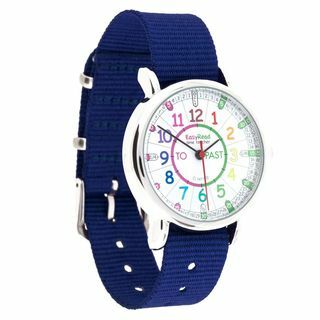 EasyRead Time Teacher Children’s World Time Wrist Watch, 33 mm diameter, with navy blue nylon strap. 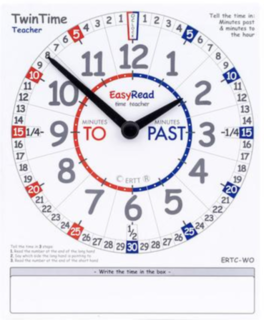 Simple 2-step teaching system to learn to tell the time in 12 and 24 hour format. 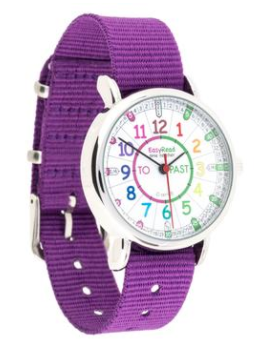 EasyRead Time Teacher Rainbow Children’s World Time Wrist Watch, 33 mm diameter, with purple nylon strap. 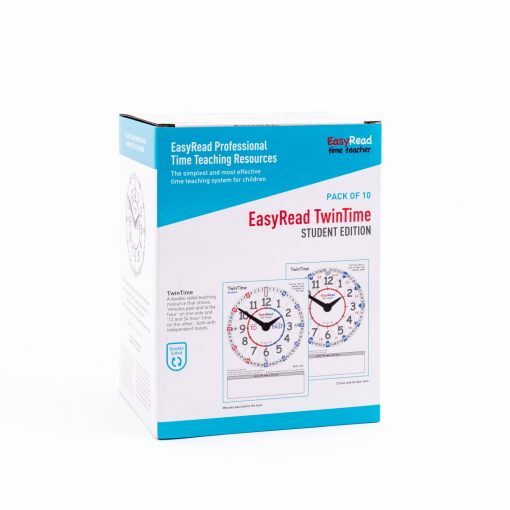 Simple 2-step teaching system to learn to tell the time in both 12 and 24 hour format.